This post is part of the Blind Sight Blog Tour. Blind Sight is an urban fantasy novel written in two volumes, each telling the story through a different character’s perspective. It is also part of the Discover Aussie Fantasy feature, running during July on The Oaken Bookcase. You can find details of the feature and enter the giveaway on the Aussie Fantasy page! In this volume: Snatched out of their life in Spain, Leocardo and his blind sister Odette find themselves on an island with no recollection of the trip. After foiled attempts to escape, Odette’s strange behaviour gets worse. Even after learning the island has bestowed magic upon them both, Leocardo faces the possibility his sister is having a mental break down. Just as he thinks he is settled in, job and romantic life stable, Odette disappears. 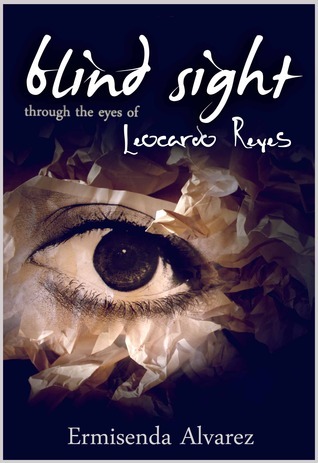 Blind Sight is a tale made up of two separate books telling two sides of the story – Leocardo’s, written by Ermisenda Alvarez and Aniela’s, written by Eliabeth Hawthorne. I have been asked to review Leocardo’s story. Leocardo and his blind sister Odette live away from their parents in Barcelona. One evening, Leo finds Odette drawing – something she should not be able to do in such detail. Afterwards she is groggy and he is at a loss to understand what is going on, but they both pass out on the couch and end up, inexplicably, in the strange country of Edaion with no memory of the journey there. Leo is horrified to find they have been kidnapped but Odette seems very calm and fine with the whole ordeal – like she is being artificially drugged somehow. Leo finds he is also having to fight feelings of calm – he knows something is wrong with this situation. As time goes by, Leo and Odette start to try to fit into life in Edaion and discover more about this strange island. Odette continues to draw and have strange episodes, and Leo must put his escape plans on hold to try to discover more about Odette’s condition and help her. The concept of having a story told in two different points of view was what really drew me into reading this book, and even though I haven’t read Aniela’s side yet I am very interested in doing so. Aniela is the mysterious “princess” who plays a major role in helping Leo discover Odette’s gift, and I think her side of the story would really help in fleshing out the royal family’s function in Edaion. As with many self-published works out there, I felt this story could do with a thorough editing. There were some instances of awkward grammar and repetitive sections that disrupted my reading from time to time. I also felt that as the story was so short, major plot developments felt rushed, including the small episodes of romance. This is a shame because the story itself is fascinating and will hopefully be expanded in future works. This first instalment felt very much like an introductory chapter rather than a full novel. My writing critique aside, I thought that Blind Sight was a very imaginative story with passionate characters. I’ll look forward to seeing what’s in store next for the citizens of Edaion. Along with numerous solo works, Ermisenda began writing on role play sites at fourteen and completed her first crime novel at fifteen. Driven by the desire to evoke the kaleidoscope of emotions her favorite authors are able to, she kept writing. 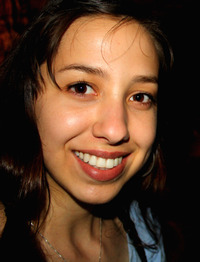 Growing up bilingual amongst her Spanish family in Australia, she found a love and deep appreciation for language and the power it wielded. That’s a fair point, it might change perceptions of the story to read from another POV.. but I think it would make it more interesting! You are right about the series. This is merely the beginning and it sets the ground work for a few books to come. I hope to have you join us in reading and reviewing the future Blind Sight novels. We are currently half way through the second volume. Blind Sight sounds incredibly unique, which is such a nice change of pace. The “one story, told in two books by two perspective’s” idea is a great one, I can imagine, if done correctly. And it seems like, with the exception of some bad editing, that is the case with this story. I will say hearing that the editing is rough makes me leery of reading it, because that is something that bothers me. But the idea behind the story is almost intriguing enough to edit the issues from my mind :). Thank you for the review of Leo’s story. Oh, yeah, the cover is mesmerizing. Love it!